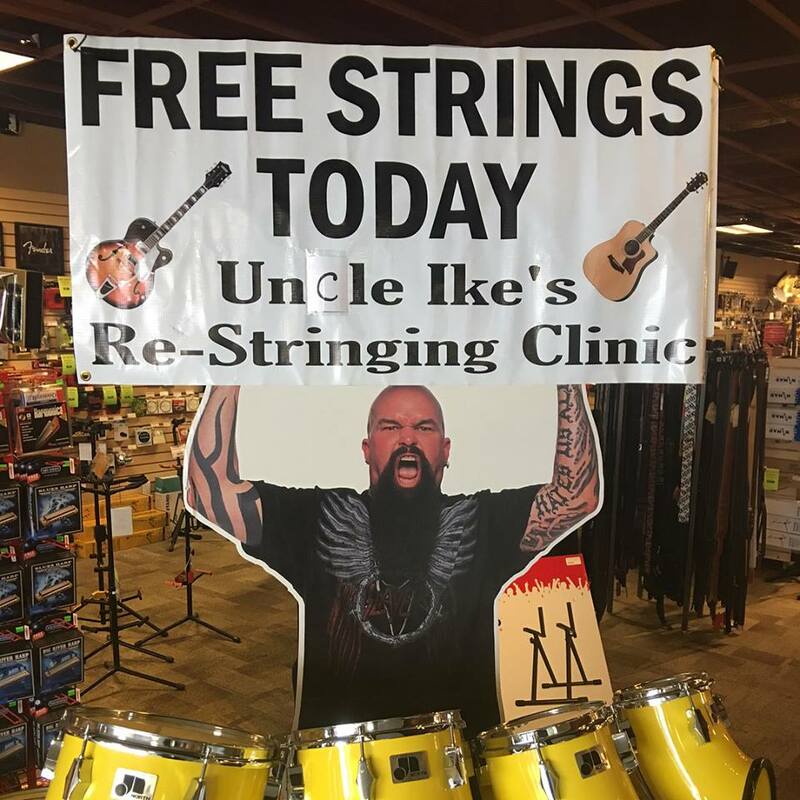 Get your first lesson free at Uncle Ike's Music. Just clip the coupon below, call the store at (563)556-6052 and make an appointment. No commitment, just try it out on us. 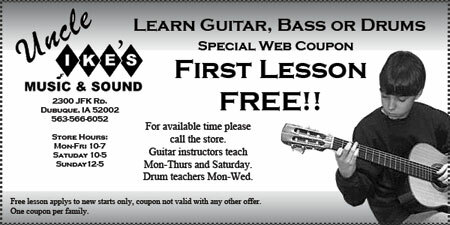 We offer daily lessons Monday through Saturdays. Each lesson is private, one-on-one instruction, and lasts for 1/2 hour. We offer guitar, bass, keyboard and drum instruction and we can accommodate nearly any schedule.